Ladies Waterproof Medical ID Bracelet! 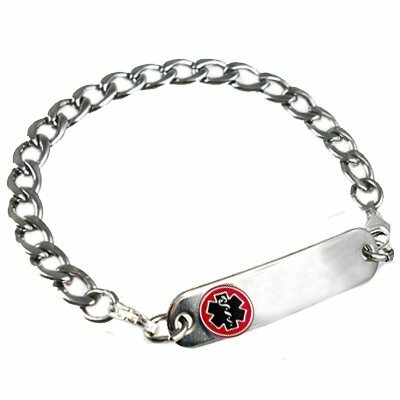 Our shiny Ladies All Stainless Medical ID Tag with durable 316L Surgical Stainless Steel 6mm x 9mm curb link chain. 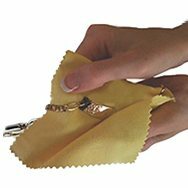 Two stainless steel lobster clasps hook onto your stainless steel medical id tag allowing you to change your bracelet to suit your style! Wrist Measurement + 3/4" Inch = Correct Bracelet Size.